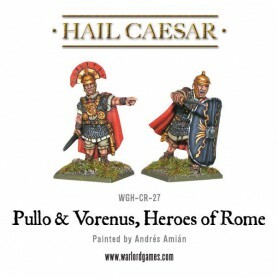 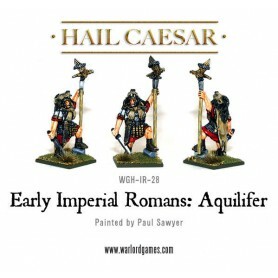 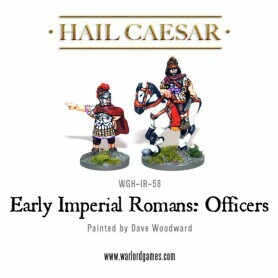 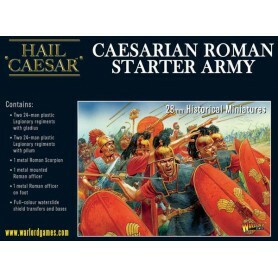 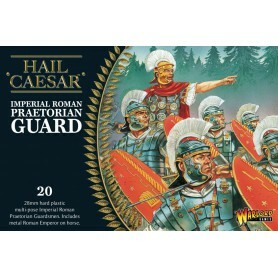 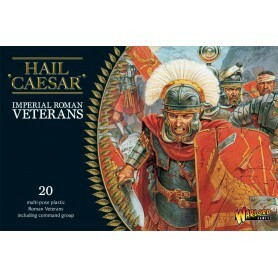 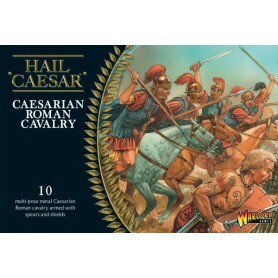 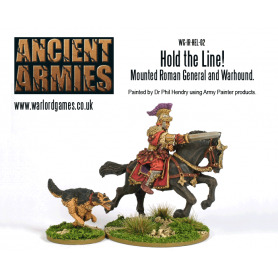 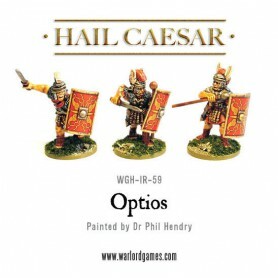 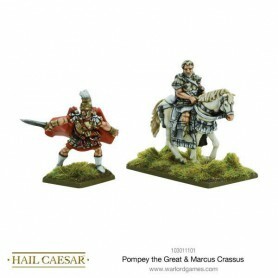 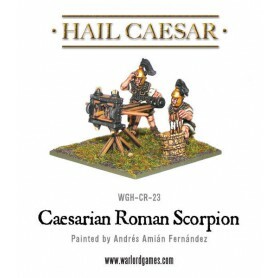 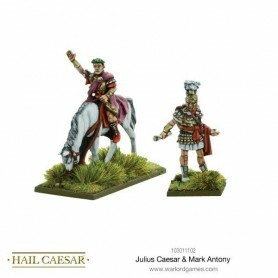 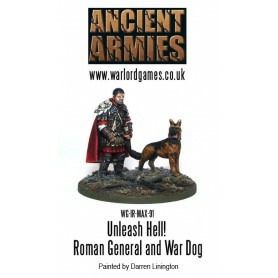 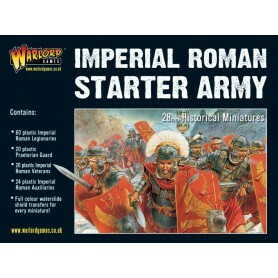 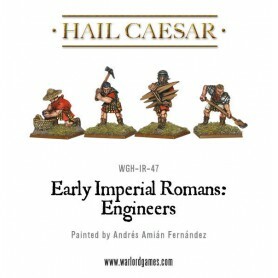 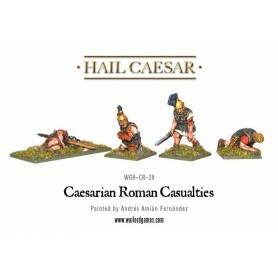 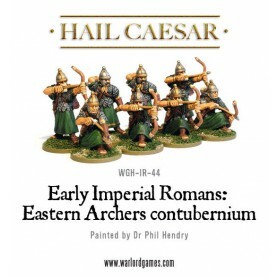 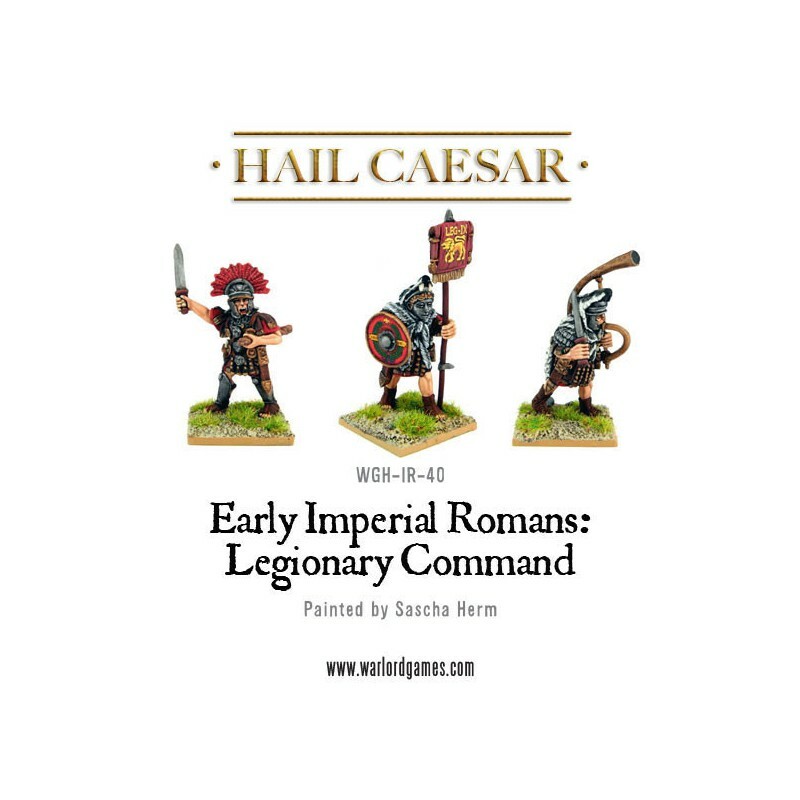 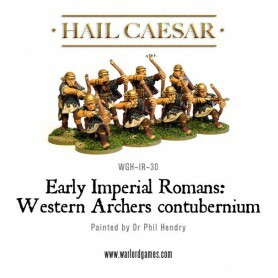 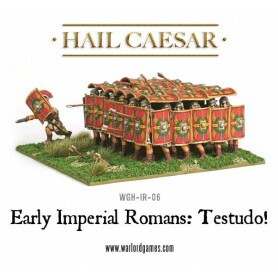 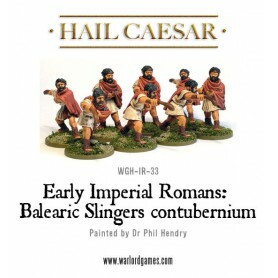 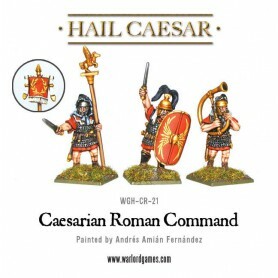 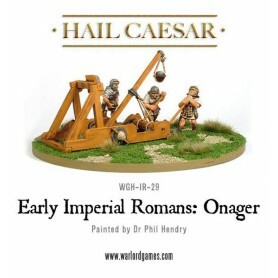 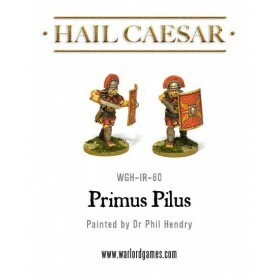 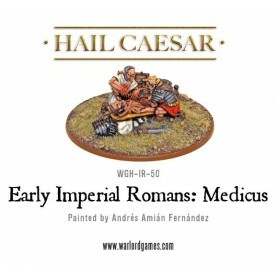 With any self-respecting Roman general fielding multiple units of legionaries it's only natural we provide even more variety to the command models in the plastic boxed set. 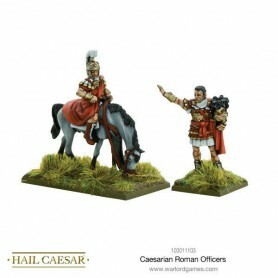 These highly detailed models represent a highly decorated centurion with vinestick under arm in true Sergeant Major style, Cornicen and Vexillarius carrying vexillum standard and sporting the silvered faceplate which must have instilled fear into any facing him on the field of battle! 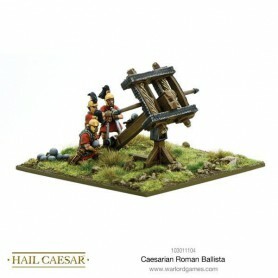 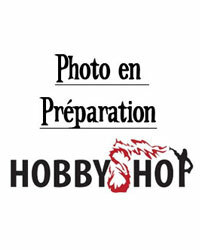 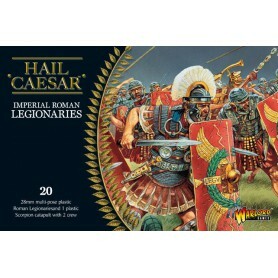 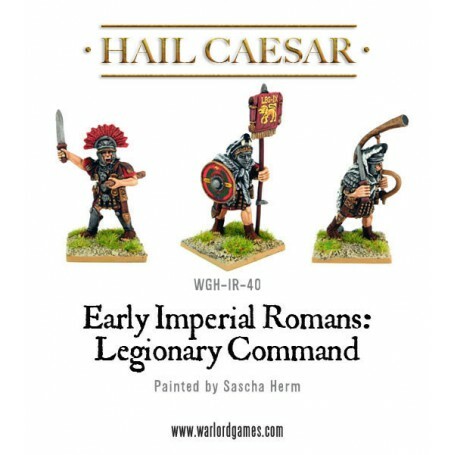 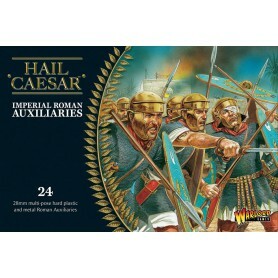 The Legionary Command pack contains 3 metal models.